This winter in Boston, a hair-brained scheme comes to life across the area. Everywhere you turn, you’re likely to see large powdered wigs signifying big-wigged status. 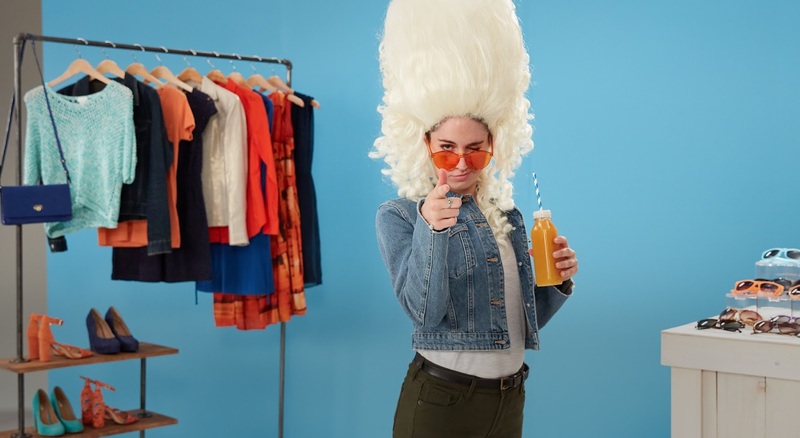 This brainchild – a partnership between Adrenaline and Workers Credit Union in Boston – is a fresh and funny take on banking. 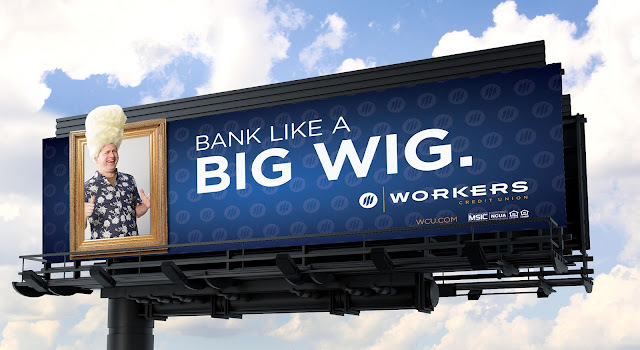 Demonstrating their level of service and attention, Workers Credit Union can turn anyone into a big wig. With branches across suburban Boston, Workers Credit Union wanted a distinctive campaign focused on service, while also overcoming any confusion associated with its name. Traditionally, many credit unions were born from financial collectives of employees within a particular industry. However, in Workers Credit Union’s case, their name no longer reflected who they were. Today, anyone can be a member. 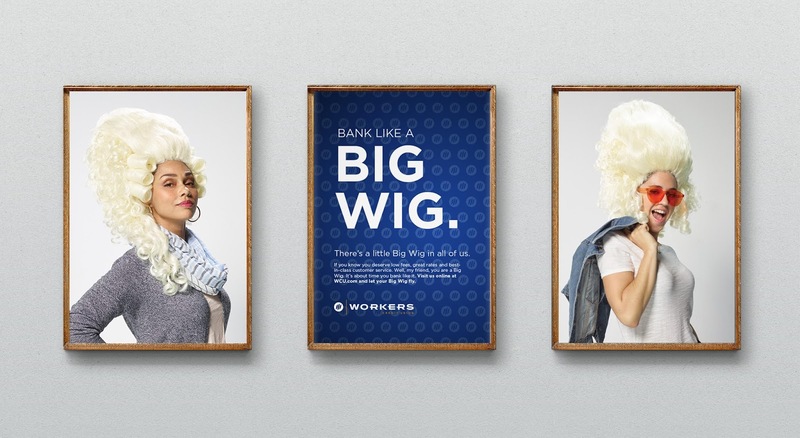 Born from the straightforward tagline “Bank like a Big Wig,” the campaign hilariously transforms its members from ordinary blue and white-collar workers into literal big wigs. The absurdity of massive, Victorian-era, powdered white wigs serves as the unique and effective visual device to instantly help the campaign stand out from the standard starchy art and copy typically found in financial advertising. Across media, the powerful campaign continually reinforces the simple, memorable concept. Beyond television, radio ads feature a jovial everyman singing about how he’s a big wig to the tune of “Oh, My Darling,” in Baroque harpsichord style. The print ads place wigged talent within oversized, gilded picture frames. Rounding out the campaign, window clings and bus wraps take the concept to the street. From a creative standpoint, the Adrenaline team translated the Workers Credit Union value proposition into an unforgettable, unexpected visual metaphor that breaks through the standard advertising clutter. This simple, iconic approach ensures that audiences will organically recall the campaign and connect with a new generation of banking customers. The disruptive nature of each :15 second TV spot, helps deliver quick, entertaining stories about each “big wigs” that people will undoubtedly relate to and remember. The Workers Credit Union’s Big Wigs campaign is airing across Central Massachusetts and Greater Boston. Click here to see the Big Wigs television ads.